Padamshree P.K. Sen delivered a highly illuminating lecture on "Biodiversity”. In his lecture as special guest, he expressed that only two countries viz Brazil and Costa Rica in the world are richer than us as far as biodiversity is concerned. He said that more than 70% of India's biodiversity is confined within forests. The agricultural biodiversity which accounts for less than 30% of the total has also 12 centers of origin of cultivated plants having centre of origin of 30000-50000 varieties. India has a rich and varied heritage of biodiversity encompassing a wide range of habitat. Mr. Sen further added that it is a global biodiversity hotspot which accounts for 7.31% of global species within its 2.4% area. He further added that a degraded forest is devoid of prey and predator both and not capable of holding water which eventually causes flood and drought. Forest is home not only to wildlife, the trees at different canopy level allow rain water to percolate and finally drain out to rivers and rivulets, thus recharging them. He suggested that planting trees and afforestation can never replace natural biodiversity therefore all our afforestation efforts to replace natural forests in the name of more financial gains have accelerated loss of biodiversity. It is now realized world over that there is a definite linkage between economy, the environment and the biodiversity. According to him, human and cattle population is threatening flora and fauna, accentuated by globalization in the industrial front. The country has tried to compensate loss of tree cover by plantations. Though the Wildlife Protection Act is reasonably stringent but have failed to protect faunal species due to global demand. Wildlife trade has taken a monstrous leap and considered to be the third highest after arms and narcotics illegal sale. He mentioned that global warming is another reality which might trigger extinction of many floral and faunal species. Rising pollution from industrial effluents, garbage and sewage, other pollutants like offshore drilling, oil spills is taking a heavy toll of river and sea ecosystems. He informed that according to an estimate, the society receives the benefits from the forests as forest produce worth Rs 40000 crores every year. Another lead lecture on "Challenges in conserving India's rich biodiversity” was delivered by Dr. P.B. Gangopadhyay, Retd. Addl. Director General, Ministry of Environment and Forests, Govt. of India. He highlighted the status of India's rich biodiversity and its conservation. He pointed out that of the 18 hot-spots in the world, two are in India- North-East and Western Ghats. With over 46,000 species of plants and 81,000 species of animals, India accounts for 7-8% of the recorded species of the world. He gave a brief account of the countries with largest annual loss of forest cover during the year 2000-2005. He pointed out that despite of decadal decrease in forest cover of many developing countries, our country has experienced a decadal increase of 23.12 Lakh ha. in forest cover between 1997-2007. He also presented the glimpses of India's diverse ecosystem and diverse wildlife through beautiful photos/pictures. Dr. Gangopadhyay also threw light on different threats of forest biodiversity including land diversion, encroachment, grazing, forest fire, illicit felling, habitat fragmentation etc. At the end of his presentation, he suggested that the protection regime has to be strengthened while a closer relationship with forest dependent community has to be developed in order to conserve the biodiversity of the country. Fortunately, a lot of resources are now available for biodiversity conservation among all sections of the society and various development agencies including CAMPA fund. 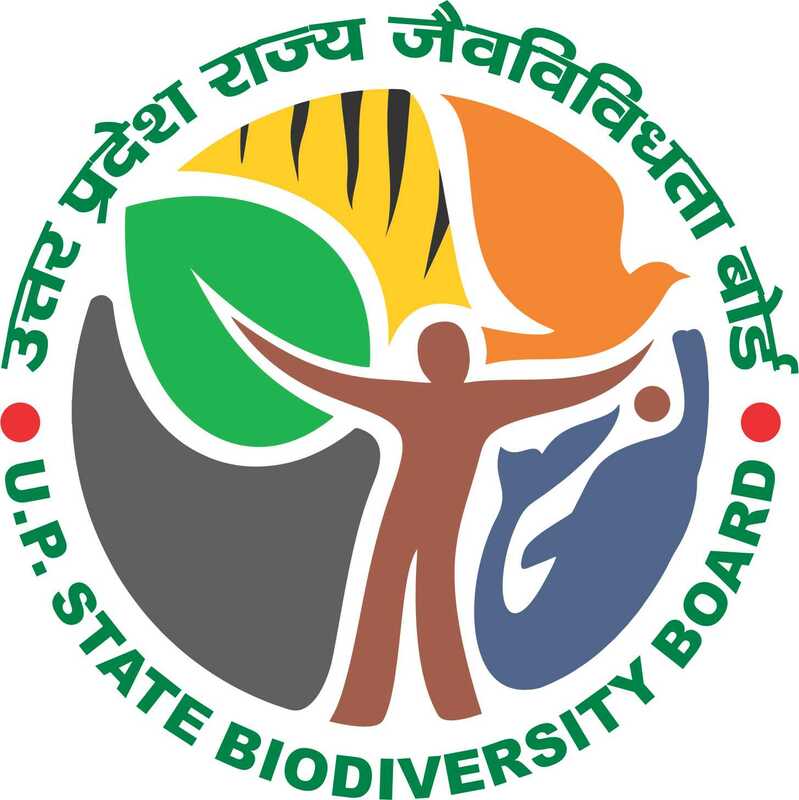 Besides, assistance from 13th Finance Commission externally assisted projects and resources of State's plan can all be accessed to meet most of the needs of biodiversity conservation. Dr. R. Sukumar, Professor and Chairman, Centre for Ecological Sciences, Indian Institute of Science, Bangalore, India in his presentation, spoke on the status of forest cover of India. He said that tropical dry forests constitute 40% of all tropical forests. He highlighted the importance of NTFPs coming from dry forests in India. According to him, non-timber forest products from dry forests in India generate revenues (incl. export) of several hundred million dollars annually. The net value of revenues from NTFPs in dry forests of Eastern India was estimated to be US$ 1000-1350 depending on the habitat. About 50 million people living near forests rely upon NTFPs for subsistence and cash income. Emphasizing the carbon sequestration potential of tropical dry forests in India through presenting a case study from Mudumalai, Tamil Nadu, he expressed the prevailing hypotheses about tropical dry forests in relation to “stress” and “disturbance”. He said that current frequencies of fire would convert forest to savanna/grassland. Herbivores including large mammals such as the elephant would convert forest to savanna. Fire and drought stress would cause loss of carbon stocks from forest biomass. He informed that in Mudumalai Forest Dynamics Plots, remarkable ecological changes have been brought since 1988 to 2008. Number of species have been increased from 72 to 84 and aboveground biomass increased from 8673 to 9418 tons per 50 ha. from the year 1988 to 2008. The most abundant species in the area are Kydia calycina (understorey tree), Lagerstroemia microcarpa (canopy tree) and Helicteres isora (shrub). Summing up his conclusions about Mudumalai, he suggested that tropical dry forests may not be species-rich but have their own intrinsic values and may be an important carbon sink in the face of environmental variability and disturbance. This has important implications for international policy discussions under the UN Framework Convention on Climate Change. Dr. K. Venkataraman, Director, Zoological Survey of India delivered a lead lecture concerning to forest biodiversity conservation. In his talk, he highlighted the nutritional needs of growing global population and biodiversity thus, reflecting the necessity for the conservation of forest biodiversity and sustainable use of natural resources. Defining "Biodiversity", he explained the three ranges of biodiversity as Ecosystem Diversity; Species Diversity; Genetic Diversity. He also gave a brief account of existing biodiversity of the world as well as India. According to him, 5 to 10 million species of plants and animals exist in the world including 1m animal (75% insect); 2,48,000 higher plants, 69,000 fungi, 31,000 protozoa, 27,000 algae, 5000 bacteria and 1000 viruses. Out of which, only 1.5 million species (17,70,000) have been identified so far where as in India there are: 91,000 Species of Animals; 45,000 Species of Plants; Bacteria- 850; Fungi-14,500 etc. He spoke on the importance of forest plants as these have medicinal as well as agricultural values. He also shared his views on different causes of biodiversity losses and changes e.g. extinctions, changes in population sizes, distribution, species composition, genetic diversity. Emphasising the importance to protect the forests, he expressed that the forests provide ecosystem services, which are beneficial to the global ecosystem like: support energy flow and chemical cycling, reduce soil erosion, absorb and release water, purify water and air, influence local and regional climate, store atmospheric carbon, habitats for life forms. While focusing the main objectives of Framework Convention on Climate Change and Forests (FCCC), Dr. Venkataraman also spoke on conservation strategies for in-situ conservation of forest diversity. He informed that 90% of world food supply came from 20 plants species and 14 species of domesticated animals. He described the major threats of forest ecosystems as unsustainable deforestation, increased erosion, habitat fragmentation and loss of biodiversity. He suggested that plantation may help to resolve urgent global issues in order to conserve biodiversity climate change mitigation and poverty alleviation. A National Forest Carbon Accounting Programme is being institutionalized. Proposing a fundamental shift from our traditional focus of merely increasing the quantity of our forest cover, towards increasing its quality and improving provision of ecosystem goods and services. Proposing to take a holistic view of greening, not merely focus on plantations to meet carbon sequestration targets. There is a clear and more important focus on enhancing biodiversity, restoring ecosystems and habitat diversity. There is a deliberate and major focus on autonomy and decentralization. The Mission will be implemented through an autonomous organisational structure with a view to reducing delays and rigidity, while ensuring accountability. Local communities will be at the heart of implementation, with the Gram Sabha as the overarching institution overseeing Mission implementation at the village-level. The Joint Forest Management Committee would be revamped as Committees of the Gram Sabha. This is in consonance with the fact that forests are a source of livelihood for over 200 million people in the country, and hence centrality of their participation is critical. Dr. Singh delivered a lecture on plant diversity in India. In his presentation, he gave a brief account of its bio-geographical status, global biodiversity hotspots as well as hotspots prevailing in India. Besides, he focused on different ranges of biodiversity including ecosystems, species and genetic diversity. According to Dr. Singh, approx. 5725 species are endemic in India including 3471 in Himalaya, 2051 in Peninsular India and 239 in Andaman and Nicobar. Three bio-geographic realms (Indo – Malayan, Eurasian and Afro – tropical), 10 bio- geographic zones, 26 biotic provinces, 16 major and 221 sub-agro climatic zones with 426 Biomes. 1,27,000 species of plants, animals and microbes; ca 4,00,000 species yet to be identified. Mango with 5000 recorded verities. Oryza sativa (Rice) with over 60,000 recorded land races. About 33% of the higher plant species are endemic. 167 agri - horticultural crops. 320 wild related species of crop plants. 25 major and minor crop plant species domesticated. 1500 wild edible plants species used by the villagers. 3000 medicinal species – 85% of which are wild. He added that the tribal use 3900 plants as edible; 8000 as medicine – with over 175,000 specific applications; 525 as pesticides, 550 as fibre and 475 as gum, resin and dye. At the end of his talk, Dr. Singh emphasized that forests are more biologically diverse than any other terrestrial ecosystems. Conserving and sustainably using our forests will ensure protection of more than 2/3 of all terrestrial plants and animals. He suggested that Biodiversity underpins the health and vitality of forests and is the basis for a wide range of ecosystem services needed for livelihood and well-being of people. It is therefore imperative to understand and appreciate its full values, as well as its importance for human well-being and development.